Here’s the fast, simple, economical cam tool that eliminates hundreds of separate, costly driving plugs with four expanding mandrels. 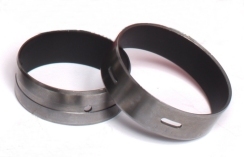 The Dura-Bond Cam Bearing Tool adjusts instantly to undersize cam bearings: lets you put them in and take them out of any engine. Be smart, do it all fast with one tool from Dura-Bond. The above items can be ordered separately or in a kit. Dura-Bond has revolutionized the process of rebuilding aluminum heads with the Dura-Bond Quick Boring System, an O.H.C. cutter system for aluminum cylinder heads. In today’s market, aluminum heads outnumber cast iron by 3 to 1, which has caused a far greater demand for aluminum head service. But only 25% of today’s engine rebuilders perform aluminum head rebuilding. Our Quick Boring System hopes to help change that. 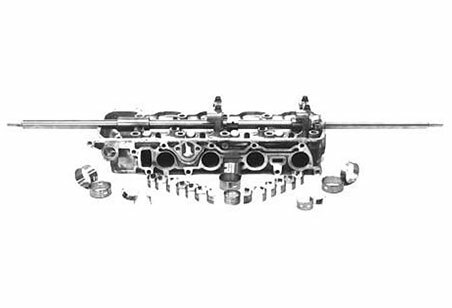 This system enables you to bore a complete cylinder head and install new repair bearings in under 20 minutes*, compared to other systems that take 45 minutes or more. 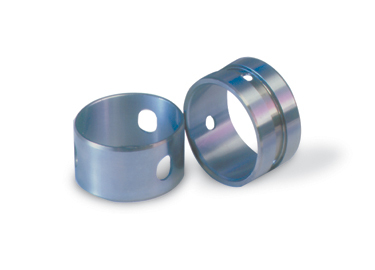 Tapered bushings provide self alignment, eliminating hours of setup time and the need for expensive fixtures. Using the extra long drive bar, a 1/2″ drill, and light pressure, you can cut, ream, and leave a factory finish on multiple housings with one pass. Due to the fact that aluminum heads require more operations, including straightening, surfacing, welding, and align boring, they generate more profit per head. Not only that, but you’ll find that the boring system pays for itself in as little as five jobs. So to keep your customers while generating more profit, utilize the Dura-Bond Quick Boring System. Approximately 75% of today’s rebuilders have yet to take advantage of this exciting and growing new market. For the first time, there are more aluminum heads than cast cylinder heads in America’s passenger cars. In fact, there are three times more aluminum than cast heads being manufactured for today’s new passenger cars. The demand for aluminum head service is far greater than for cast heads, providing opportunity for head straightening, head surfacing, welding, and line boring. Aluminum head rebuilds generate more profit per head because they require more operations than cast iron including: head straightening, surfacing, welding and align boring.